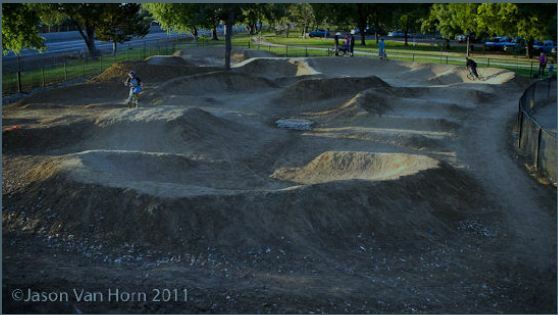 First, I’d like to thank you for taking the time to add your name to the support letter for the Reno Pump Track. We passed our first hurdle tonight at the City of Reno Ward 4 Neighborhood Advisory Board which endorsed our proposal. That will send us to the Parks and Rec Commission in April and if approved, we can hopefully break ground shortly after. There is power in numbers. When one of the board members asked a question about who would maintain the track, I explained the volunteer agreement with the Poedunks and then mentioned the online support letter that had over 90 people check the box to help maintain the track. You could see her eyes light up at that. So thanks for your help. We’ll keep you posted with updates and when we’re able to start moving dirt! If you’d like to join the TAMBA e-mail list for updates on this and other projects, please click here.